Many of you will know that I take an interest in spirituality in the widest sense and for those of you who take a similar interest or are open minded at least I have a real gem and something different for this blog today. In this ‘spirit’ I am proud to e presenting to you a book that has great insight but at no stage tries to convert you or forces theories at you. The open-minded and experienced Jolie DeMarco explains basic common ‘spiritual’ principles, her own approach and a uniquely created technique she practices. 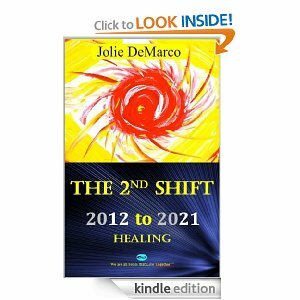 “The 2nd Big Shift” by Jolie DeMarco was recommended to me by a friend of the author and I was hesitating for some time to read it, mainly because I felt I had heard and read enough about 2012 and felt I knew it all by now. I am also always a little shy when touching “spiritual” books for their potential to teach or to go beyond a level of “unworldliness” that I am comfortable with. This book concerns an awakening process of enlightenment and mind-fullness, the second shift, although this summary is somewhat simplifying a more complex concept. I was pleasantly surprised when the author began with very humble and honest explanations of principles, theories and terminology in that area. 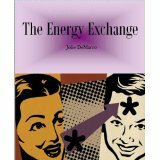 DeMarco was being refreshingly truthful to yet lovingly humble in her opinions and sense of knowledge, never trying to convince or force the reader to believe any of it, which made it easy for me to go along. 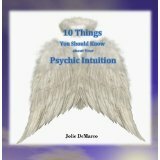 I am personally familiar with many of the concepts explained in the book, such as psychic channelling, past life regression, energy healing, crystal healing and psychic art – although like everyone I have my personal limits as to how far I agree with them. DeMarco does a great job at explaining some of these basics but does not stop at teaching, she brings in a practical approach. A large part of the book concerns channelled Mandalas, pictures of geometric shapes of which the reader is meant to chose several as a exercise in divination. I picked three, all of which had relevance to my life. What follows are more revelations as channelled by the author with predictions and philosophical or spiritual information. I will admit that some of the latter were beyond what I can accept in my mind as truth but the book explains and reflects on many issues currently being discussed and channelled by spiritually minded circles worldwide. It serves as a great introduction as well as food for thought for those readers more advanced and already engaged in the thought process. One of the things I liked most about your book was the open-mindedness with which you explain some of the principles and basics of current theories and themes used in current spiritual literature. Are you tempted to write a more comprehensive guide? I believe in the “messages” that I have been channelling from these “guides”, they all have been positive. I feel strongly that one day I will write a form of a “sacred book“ with the knowledge they are sharing. We all perceive life differently and as that is true, people that “feel” that from it will know that essentially every form of life effects “other” life. Whether it’s a human to human, human to animal, or human to energies meaning other than human or earthly life. I am sure you must meet a lot of prejudice against your belief system and the techniques you have developed. Do you find that this is changing for the better? Actually, so far, I have met so many positive people open to these new ways of healing. I am grateful for that. When people are mindful of their bodies and can sense or take the time to actually understand how and what is affecting them to feel positive or negative, they can heal accordingly. Basically, if everyone was educated in school of the human body of its energetic properties people would comprehend that “energy” is all we consist of. Human beings need to be cleansed, and re-charged or aligned on an energetic level. This can go deep to explain; simply put human energy can be distorted and displaced due to emotions and psychical damage. Do you find it difficult to distinguish yourself from the more go-driven self-declared gurus that can give new age such a bad name? I do feel that some people put on a show, or deceive, yes. Just with every profession, there are good and bad. I hope that people can be more “in touch” with sensing who is correct for them to believe, feeling honesty in another before they trust. Your book is spiritually quite evolved. Can you briefly tell us about your journey and spiritual path? Well it’s funny because the short version is very similar to many intuitive or psychic people, that I have had a near death experience. It seems that is a commonality of “messengers.” When I was 22, was my first near death car accident, then an illness at age 36 that made me “feel , sense life and to “see “ it from new likeness. As a child I had “visitors,” that had also opened me to life beyond earth. Can you explain briefly about the Mandalas of your book? Each mandala was created to “help heal humans on all levels, psychically, mentally, emotionally and spiritually.” Each channelled painting has energies of higher spirits that will work with our human energy to enhance or heal us to bring us to a “happier state” or higher vibration of living life! When you gaze at a particular painting you are attracted to, you can read the “message” along with feeling the energy from it. This will help you realize what is going on in your life and what you can do to advance. People can actually hold their hands over the painting they chose then without touching it, they feel tingly sensation in their bodies. Some people get chill bumps, and some feel heat. All are signs you are connecting and receiving positive energy. As experiment, should we chose three of them for me and see how they fit? Absolutely! Yes, Try it. Simply look at each painting first. Then choose 3 that you are drawn to. Then you can read the “message” of each painting. These 3 messages will give you awareness to what is happening in your life at this particular time in your life. Have you ever written anything else? It is crazy because I get awoken usually at 3am in the morning, with a “voice or voices” that say “Hey get up, -go write this…” I get up grab my pen and note pad near the bedside, or I go into my other room with my computer and 2 dogs follow by my side as I write or type! How do you do your editing and quality control? I try my best to make my writing easy to read. I have a few friends and family look over most of my writing for me, but I sometimes get annoyed with others trying to change the words. I feel that can change the energy of what I wanted to express. I ask those that read my books, Please forgive my imperfections and dyslexia, I do my best. What are your next projects and where would be hearing about them? I am co-authoring a fiction book with M.C.V Eagan, a book named 4overt2covert in 33 days. It will be amazing! It will be out in April. I am also finishing a healing reference book called “Stoned.” It is a book of Crystal grids for healing and wellness. Most of my books are available on Amazon if you look up by my name, Jolie DeMarco. As previously mentioned the Mandala paintings are in the book called The 2nd Shift, and they are also available as an Oracle card paper deck. Both can be purchased on my website. The mandalas are available online as an app for i-phones or Google play as “Mandala card Reading.” They are super fun and easy, everyone can get a self-reading in just a few minutes.